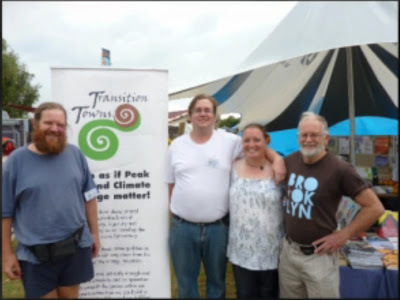 We were at the Kapiti Sustainable Home and Garden show over a somewhat wet weekend (25th & 26th March). Despite the weather, we had a fairly good turnout. We spent our weekend talking to lots of really interesting people about transitioning their homes and community, as well as helping to re-build our local community. Despite the fact that it rained on and off most of the weekend (aside from the torrential downpour on Sunday afternoon), we had a great weekend. Although, the weather kept us on our toes, helping Helen from Living Economies move her books in under the shelter more than once. We’re all looking forward to what the rest of 2011 has in store for us, and will hopefully be running a few events this year, which will be on our site as soon as possible.